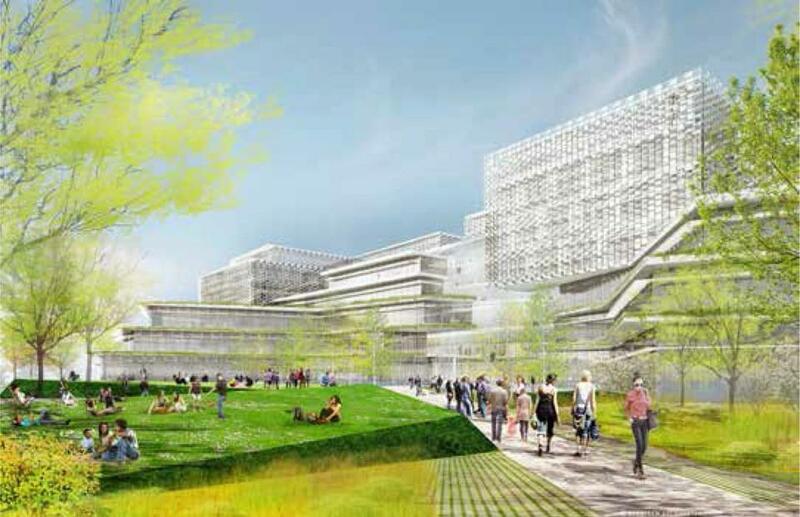 Rendering of Harvard University&apos;s proposed Science and Engineering Complex South Courtyard, in Allston, looking Northwest. Harvard University’s largest new academic center in Allston may clear a major hurdle Thursday when the Boston Redevelopment Authority reviews the school’s proposed science and engineering complex along Western Avenue. If the project wins BRA approval Thursday, Harvard hopes to launch construction this summer and open in 2020, Casey said.